HTC One M8 is certainly the most beautiful smartphone released this year, however, I still had some complaints of its design in my review. The phone has too many curves, especially on 2 sides, so it is prone to slipping away of your palm. One of the solution is to apply a case on the handset. 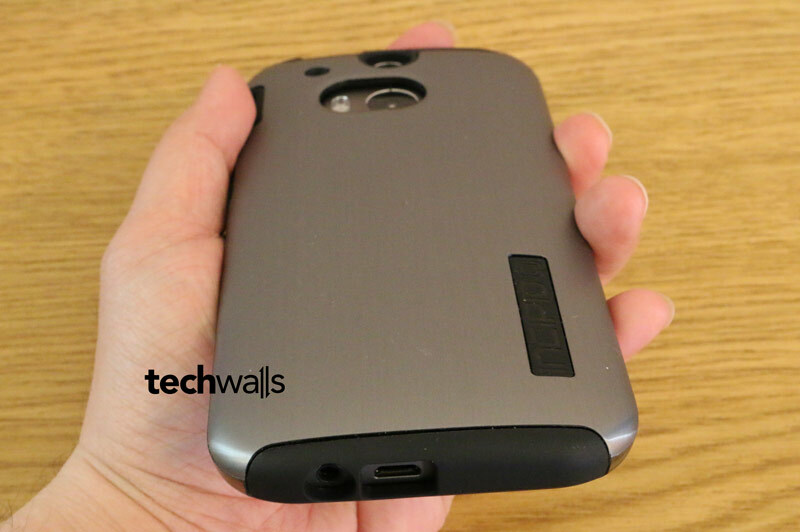 Today we take a look at the Incipio DualPro Shine case for HTC One M8. 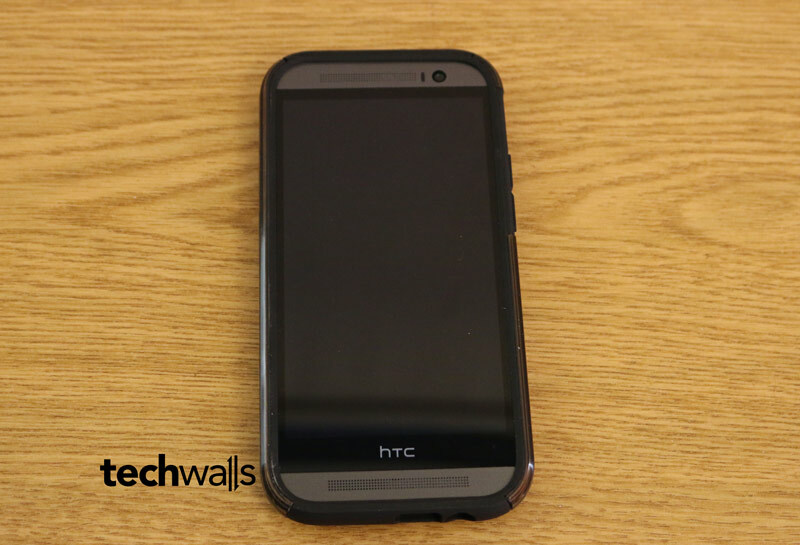 HTC One M8 is a masterpiece with zero-gap aluminum unibody design, so I didn’t expect the case could keep the premium feeling I had when holding this phone. And that’s true. The Incipio case features very high quality materials, silicone on the inside and outer Plextonium. The later one is a proprietary blend of Polycarbonate that can provide better shock absorption and reliable manufacturing. The case is the combination of black and silver colors, which looks great on my gunmetal gray M8. However, it really can’t replace the existing aluminum frame on HTC One. M8 is a big device and it becomes a little more bulky with this case. An advantage of this case is that it fits perfectly and has cutouts to cameras, speakers buttons and connectors. Take a look at some images of the product. Having said that, this is a very tough case with 2 layers of protection. 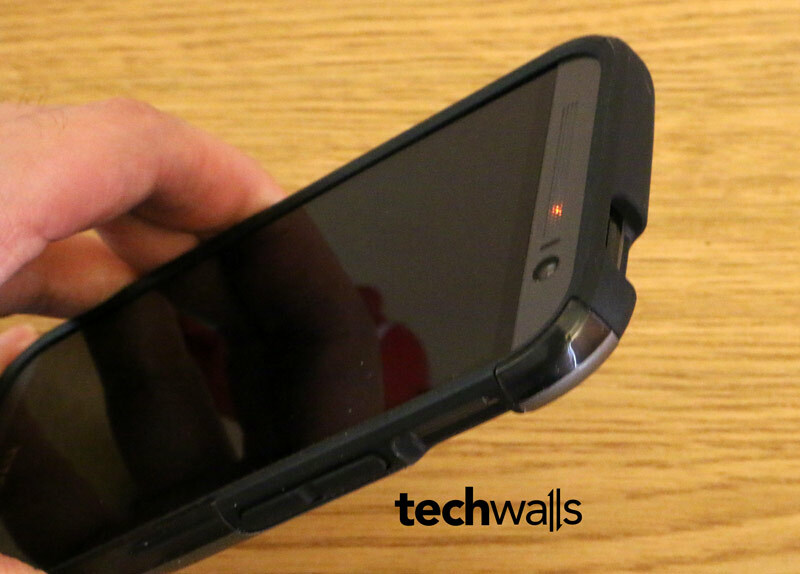 The inner TPU is very helpful as it would disperse the force of impacts to a wide area, so your phone will be protected better from shocks and bumps. The case is available for $50 on MobileFun. It is hard to recommend this case because of its high price and bulkier design, however, it is worth considering if you want better protection for your HTC One. Great hands on review I guess. I just checked the video review and I must say the smartphone is superb.